The perfect e-bike for the City or countryside leisure rides with a traditional roadster frame built with triple butted aluminium and 28” wheels delivering a sturdy comfortable riding position. 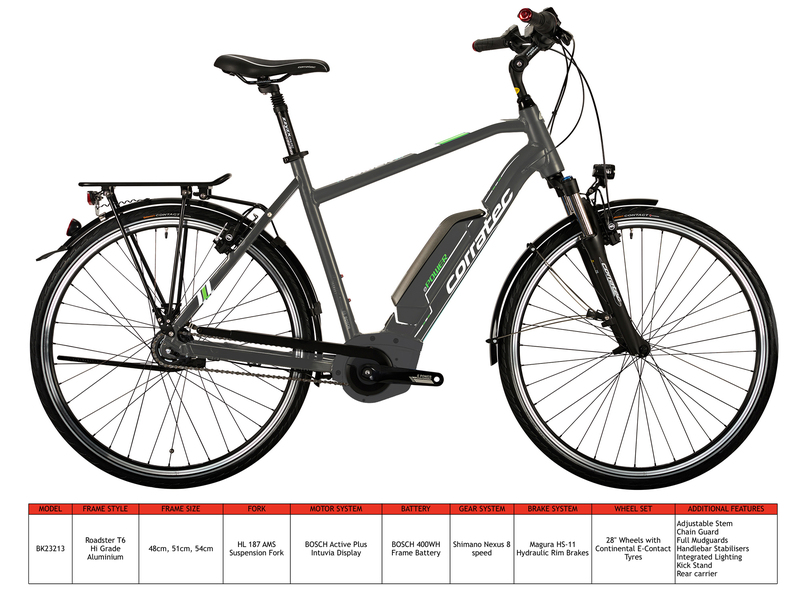 Bosch Active centre drive motor system with a 400wh battery and Magura HS11 hydraulic rim brakes are just some of the highlights of this premium e-bike. 28” wheels for a comfortable riding position with Continental Contact E II tyres incorporating a puncture resistant band and reflective side walls.